The Ibis Melbourne Australia is situated in the northern section of the City just a short stroll from the central shopping and entertainment districts. Dine in or go exploring the many experiences and culinary tastes that this city provides. The Ibis Hotel is located just a few minutes walk from the famous heritage listed Queen Victoria Market. Here you can view and sample food delights from all over the world or pick up some amazing shopping bargains and souvenirs. Where Is The Hotel Ibis Melbourne? 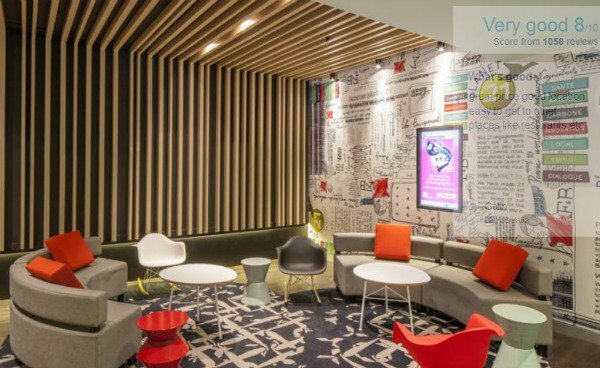 The newly decorated Ibis Hotel Melbourne provides top Melbourne Accomodation with 250 comfortable and well appointed rooms. The hotel offers 2 bedroom apartments for group and family stays. For an ideal relaxing time sit in the comfortable bar and enjoy Foxtel, Wii and a game of pool. Hot snacks are available 24 hrs. The bar is open from 4pm daily. Dine in the onsite and air conditioned Bistro offering a continental or buffet style breakfast and an a'la carte dinner. You are also so close to other great city restaurants offering top quality dining and afterwards enjoy a great entertainment experience with the city's theatres all around you. If you are considering a stay at the quality Ibis Hotel let my associate partner Booking.com look after all your accommodation requirements. Plus, you pay the hotel direct! Take in the sights and sounds of this amazing city and do it the easy way with one of my travel partner's tours.